Selling income property is different from selling a house – think of it as the difference between business-to-consumer marketing and business-to-business marketing. You can paint a house in designer colours and skyrocket the price it can command, just because the house is aesthetically pleasing to buyers who plan to live there. Rental property is different, because it's bought by investors who are trained to look at income rather than new paint. Often the numbers mean a lot more to them than the property itself. So how do you market to savvy investors? Raise income. For example, assume investors in your area expect a capitalization rate of .08. That means that they want a net return of 8% on the purchase price. If your duplex generates $24,000 net income annually, they'll value it around $300,000 ($24,000 divided by .08). If you can somehow make the property generate $30,000, you make it worth $375,000 in the eyes of an investor. There are several strategies for making your income property more profitable. Higher rents: Find out what similar units are renting for. If you're charging less than the going rate, you can raise rents and still keep your tenants. Raising the rent by $90 for two apartments means $2160 more net income annually. At a .08 cap rate, you just added $27,000 to the value of your property. Add a unit: Though finishing a basement to code may involve significant investment depending on the current state of the lower level, it may pay off in the long run – especially if there are features already in place that appeal to tenants, such as above-grade windows. Upgrade: What do your tenants—and tenants in general—want? Can you find ways to give it to them without breaking the bank? For instance, if you add a carport, the use of storage rooms, or on-site laundry machines, will tenants pay more rent on a monthly basis in exchange for these amenities? Reduce property expenses: Can you improve the insulation to reduce the heating costs? Turn the gardening over to a green-thumbed tenant? Switch to a high-efficiency furnace that will save big time on heating expenses? When considering these ways to get more for your income property, be sure to make any changes at least several months before you try to sell the property. Talk to your tenants, if your property is currently tenanted. Sometimes owners don't even tell their tenants that they are selling, which is awkward to say the least. Let tenants know there will be property showings and ask how you can help accommodate their schedules. 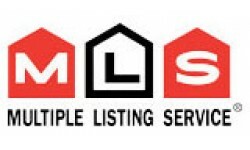 Make sure you obtain all their contact information so we can let them know well in advance what showings have been booked, which eliminates confusion when the buyer's agent arrives with his or her clients. This is also a good opportunity to let your tenants know about their primary concern: what the future holds. Reassure them as to the closing date that you are seeking, so that if the property ends up being purchased by someone who wants to bring in their own tenants or convert to single family, then at least your tenants know what the timeline is for them to find a new home. Present your property well. While staging is not nearly as important as it would be for residential real estate (investors are looking at numbers, not at whether the tenants' living quarters are messy) you can still ensure that your property is clean and adequately prepared for showings.